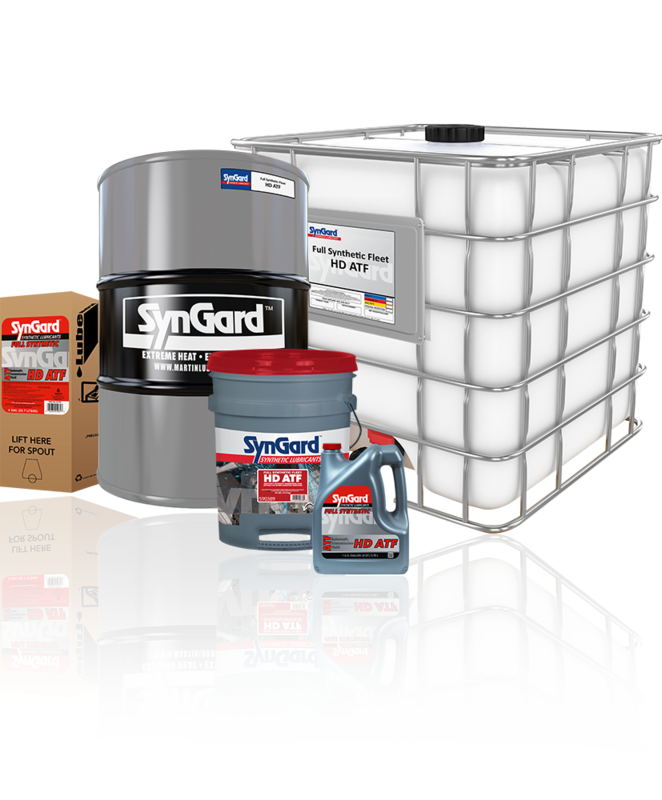 SynGard™ Fleet Heavy Duty Transmission Fluid is engineered from premium synthetic base stocks to provide exceptional performance in severe operating conditions. SynGard Fleet Heavy Duty Transmission Fluid is ideal for use in most heavy duty automatic transmissions offering outstanding gear shifting and power transfer performance including heavy duty pickup trucks, commercial vehicles and trucks, emergency vehicles, off-road and on-road highway vehicles, municipal fleets, vans, and school buses. SynGard recommends SynGard Fleet Heavy Duty Transmission Fluid for use in applications where the OEM specifies a fluid meeting standards comparable to those set out in Allison Transmission’s TES 295® specification. SynGard Fleet Heavy Duty Transmission Fluid is not certified by Allison Transmission under the TES 295® specification and use of SynGard Fleet Heavy Duty Transmission Fluid may have an impact on warranties offered by Allison Transmission.